Fantasy Football season is just starting to spin up and millions of football fans are beginning to think about their top draft prospects or clever names for their teams. As big as it is, it is not surprising that it has started to get more and more scholarly attention. Chad Carlson and I discussed philosophical questions arising in fantasy in a podcast back in December (Mike and I also talked fantasy last August). Scott Aikin joins the fray with his relatively recent article in the International Journal of Applied Philosophy entitled “Responsible Sports Spectatorship and the Problem of Fantasy Leagues”. Aikin says Fantasy Sports can bring about “a unique form of distortion of proper spectator performance” (195). In sum, his argument is that those who watch sporting events for the purpose of participating in a fantasy league are failing to be what he calls “responsible spectators”. 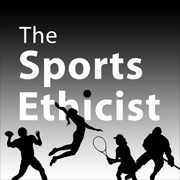 Responsible spectators (a) strive to make sense of the individual games they watch in terms of the objectives of the game, (b) pull for properly sporting actions in the game, and (c) pursue these ends in ways that appropriately fit with their wider ethical obligations (199-200). Fantasy players fail, according to Aikin, to satisfy these norms. They fail on (a) and (b) because they don’t watch a game as an integrated whole. They watch and root for specific actions by specific players irrespective of the consequence of those actions on the actual game played. For example, rooting for a team to go for a touchdown in a situation where the game-situation calls for running down the clock and kicking a game-clinching field goal (a ‘b’ failure). Moreover, fantasy players fail to see the game as a whole: it’s not Patriots vs. Jets; it’s whether Brady throws enough TDs (an ‘a’ failure). Aikin also argues that fantasy players fail on (c) because of they are concerned only with “the greedy self-gratification of collecting further points for a team consisting of bytes and bits in cyberspace” (201-2). All these failures, argues Aikin, show us that fantasy players fail to make sense of the game as the game it is; there is a “failure to properly attend to games” (202). There are a number of issues I have with Aikin’s paper and I won’t tackle them all here. The primary one is that I don’t think he takes seriously enough just what fantasy sports are; or rather, what it is that fantasy players are doing when they watch the sporting events upon which the fantasy games is based. Aikin’s claim is that fantasy players are improper spectators of the sport. They should be watching the game as it is but instead are watching particular players or actions in various games. Moreover, they ought to be concerned with the narrative or structure of the game they are watching but fantasy players are not primarily concerned about the particular game and its unfolding action. They are concerned with a range of actions across many games. In this description, Aikin is correct: fantasy player qua fantasy player is not watching the sport event qua sporting event. But this fact doesn’t establish that the fantasy player is doing something irresponsible or improper. On one hand, Aikin’s argument amounts to a trivial claim: People watching fantasy sports are not watching a sporting event as a sporting event. But that’s just saying that A and non-A are not identical. On the other hand, he seems to be saying something much more substantial: Watching sporting events in a way that is not watching it as a sporting event is wrong (or improper or irresponsible). But this seems clearly wrong without a substantial argument to support it and Aikin’s argument doesn’t get the job done. He has to show that (1) his vision of proper spectatorship is superior to others and (2) that these norms of spectatorship apply to the fantasy player. I think Aikin falls short on both accounts (but I’m only going to deal with (2) in this post). He attempts to address (2) within his Fourth Objection. This is the “just another game objection” (204). The objection says that fantasy players are not sport spectators; they are watching a different game altogether. That is, in watching the Bears take on the Rams, the fantasy player isn’t watching a football match qua football match. He is watching the game to see how it impacts his fantasy team as well learn about other the athletes for future moves and fantasy games. So the fact that he doesn’t fit the norms of the responsible spectatorship is not a problem because these norms don’t actually apply to him in this context. Aikin’s response is that the fantasy player is nonetheless watching the game. He is not merely checking the stats; he is watching the game and so ought to abide by the appropriate norms of watching. But this is to miss the objection almost in its entirety. Fantasy sports, as Chad Carlson articulates, are second-order games. There are games built of off other games in which others are directly engaged. They are also not reducible to these first-order games: they are different games with different rules and ends. In playing the second-order game, one is attending to and concerned with the actions at the first-level. But the context and intent of their attention and concern is different. The watching of the sport is not watching the sport qua sport. It is watching the sport qua playing the second-order game. The requisite norms that apply have to do with playing the second-order game. The fact that one may not thereby be complying with the norms of watching the first-order game is not then baldly a deficiency. It can be a deficiency if one intends to be watching the first-order game qua game but then doesn’t live up to those relevant norms. This is a deficiency of hypocrisy. But that’s not the issue that Aikin is taking up. It can also be deficient if the first-order game has a privileged status. This seems to be what Aikin believes, but it is never argued for. The privileged status is not automatic merely because it is first-order. For the sake of argument (but only for the sake of argument), I’ll concede that fantasy players are deficiently watching the games from Aikin’s standard of responsible spectatorship. However, if they are doing something else by their watching then it is not obvious or necessary that this standard applies. An appreciator of great art walks through the Louvre. She stops at the classic paintings that exemplify the standards and purposes of great art. She attends to them as she learned to do as an Art History major. She is, let’s say, a responsible appreciator of paintings. Another patron is walking through the Louvre. He stops at paintings with no discernable pattern from the perspective of the standards of great works. He doesn’t pay attention to some paintings that from the norms of a responsible appreciator of paintings he ought. After each viewing, he checks a few things off on his computer tablet and moves on. He seems deficient in his art appreciation. And maybe if his intent was to appreciate the paintings as the previous patron, he would be. But he is actually engaged in an online game with patrons at art museums all over the world. He is checking off that, for example, he found a painting of a farmhouse or one that doesn’t include the color red. He is attending to very different kinds of things about the paintings than the Art Historian because his goals are different. It is unreasonable to hold him to the Art Historian standard of appreciation. It’s just not what he is engaged in even if it looks similar. He is engaged in a second-order game. It is built off of the first-order activity of art appreciation, but it is not the same thing. Like many second-order games, it can run counter to the goals and aims of art appreciation (e.g. the painting of the farmhouse that the game players are hunting down might barely be museum-worthy) and so the norms for each activity will be different (though not necessarily at odds or mutually exclusive). The point is that insofar as the art scavenger hunt game-player is trying to appreciate art, he may be falling short. But since that is not what he is doing, then it is a mistake to apply that standard to him. The same goes for the fantasy sport player. He might be in various ways failing short of the standards of spectatorship as Aikin presents it, but since that’s not the activity he is primarily engaged in, we shouldn’t be holding him to that standard. That said, there is nothing inherently incompatible here. The art scavenger hunt game-player can at the same time conform to the art appreciation standards as he plays his game. And maybe he can learn more about these standards and art itself by playing the scavenger game. So while there is a bit of a concession here (the fantasy player is not watching sport as one ought to be watching sport qua watching sport); this concession doesn’t undermine the counter to Aikin’s argument against fantasy. The fantasy player is not being an irresponsible spectator nor is he failing short of an obligation of spectatorship. He is not, when he is playing fantasy, being a spectator and so the norms just don’t apply. This leaves open an important question, one that is probably more philosophically important. Does Aikin get the norms of spectatorship correct? That’ll have to be a discussion for a future post. I completely agree with your analysis here. Things kept coming up regarding concerns with the original argument and then you went and handled those nicely. Hardly even seems to be an ethical issue here at all. Where I do think the ethics of fantasy sports spectatorship becomes relevant is when those spectators truly treat the athletes merely as means to an end. When a player is injured or suffers a tragedy in his non-sporting life (the death of a family member, for example) you will hear concern amongst some in the Fantasy world, but concern of the wrong ilk…something like, “Oh great, his mom died. That’s really going to affect how many receptions he has this weekend.” The concern and interest in others can diminish as they become dehumanized and merely as a means to accumulate fantasy-points for the game player. It becomes especially troublesome as children approach the whole institution in this manner. And it seems hard to avoid. This issue, much more than Aikin’s, seems worthy of addressing. Thanks as always for the great commentary.